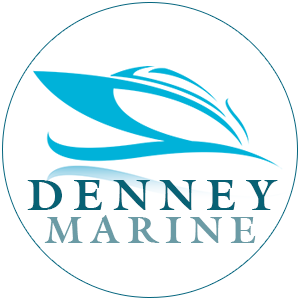 Welcome to the Denney Marine website. Located in between two of the largest man-made lakes east of the Mississippi, Lake Cumberland and Dale Hollow, we are a premier Kentucky dealer for Supra and Moomba Boats, Sea-Doo's, and South Bay Pontoons. We also have an inventory of used boats, watercraft and cars. Read All of the Latest Denney Marine New(s) Here! Denney's is a licensed dealer for Supra and Moomba wakeboard/surf boats, personal watercraft Sea Doos, South Bay Pontoons, Rhino boat lifts, Shore Lander Seadoo docks, and Yacht Club trailers. If you're not interested in a brand new watercraft or boat, that's ok, we also offer all kinds of used PWC's and Ski boats. Give us a call and we can help with all of your boating needs. We've got galleries that showcase our available inventory. If you'd like to see it online, use one of our galleries. Galleries for specific water craft are also available when you visit the page. Use our convenient SEARCH OUR SITE tool to find EXACTLY what you are looking for. We have partnered with Epic Finance LLC. and Sheffield Financial to provide financing when our customers want it. I have been buying Sea Doos from Denney for over twenty years . I would never consider going anyplace else for sales or service. I also bought a Supra wakeboard boat from them ten years ago and it has been serviced there for ten years and we have never missed a weekend on the water when we wanted to use it. Not only did we get a great deal on two badass Sea Doos but we got the best customer service I've ever experienced! Go to Denney for all of your watercraft needs. These guys are amazing! Best customer service ever! They even helped us change the flat tire on our truck after we had our new boat loaded. So glad they saw the flat before we pulled out. Wonderful people! 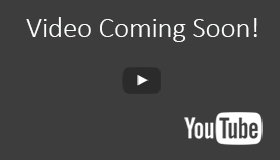 We've got a growing collection of videos provided by our suppliers, taken by ourselves and submitted to us by our customers. Come by and let our service department help you with your issues and needs. Our service department works on just about every boat and personal water craft there is. If you have an inboard or a Seadoo, we have up to date licensed technicians. Looking for Used Boats, Sea-Doos or Cars? We've always got used inventory available when you are not looking to purchase something new. Got Questions? Visit our Questions & Answers Page or Call Us! Get In Touch With Denney Marine Now! Copyright © 2019, Denney Marine & Auto.